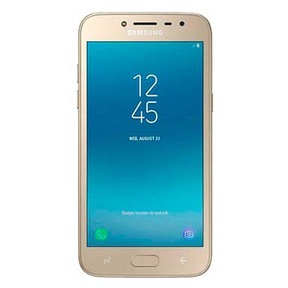 The Samsung Galaxy J2 (2018), also known as the Samsung Galaxy J2 Pro (2018) and Samsung Galaxy Grand Prime Pro was another addition to the Samsung Galaxy J2 lineup. It was a successor to the Samsung Galaxy J2 (2017), which was launched back in October 2017. Similar to other models in the Galaxy J2 series, the Samsung Galaxy J2 (2018) was launched as an entry-level smartphone and was certainly a nice addition to India’s highly competitive budget phones market. Samsung is known for giving its mobiles very similar aesthetics, and the Samsung Galaxy J2 (2018) was no different, as it had a similar look to those of its J2 predecessors. However, setting aside its looks, it had fairly good build quality with a plastic back cover surrounded by an aluminium frame. The phone featured a 5.0 inches Super AMOLED with the Corning Gorilla Glass protection. It was powered by a Snapdragon 425 quad-core processor and 2GB RAM. If you want to sell or exchange your old Samsung Galaxy J2 (2018) to buy a new phone, but worried about not getting a fair bargain. Cashify has this covered for you. Why Sell Your Old Samsung Galaxy J2 (2018) On Cashify? Cashify is the ideal place to sell your old mobile online. With its easy-to-use user interface, which enables you to sell old phone or other gadgets within a few steps. What's more, Cashify has exclusive partnerships with top mobile phone brands like Xiaomi, Apple, Samsung, OnePlus and Vivo for smartphone exchanges. 1. After selecting the variant of your phone, you'll need to provide some inputs about the age, condition, bill, warranty and some other details of your phone. Cashify's has an automatic and transparent price model, which takes care of the rest. 2. Cashify automatically generates the best price for your gadgets based on the input you provide. Cashify will arrange a doorstep pickup, allowing you to sell your old phone without leaving the comfort of your home. 3. A Cashify agent will arrive at your doorstep and inspect the phone’s condition and other things against the details provided by you on the website. Once the verification is complete, the agent will make payment in your requested mode, that can be cash, bank transfers or e-wallets such as PayTM. At the time of its launch, the Samsung Galaxy J2 (2018) was a nice entry-level and affordable phone. However, the mobile phone market in India has many new models with more features than the Samsung Galaxy J2 (2018) had to offer.